1. 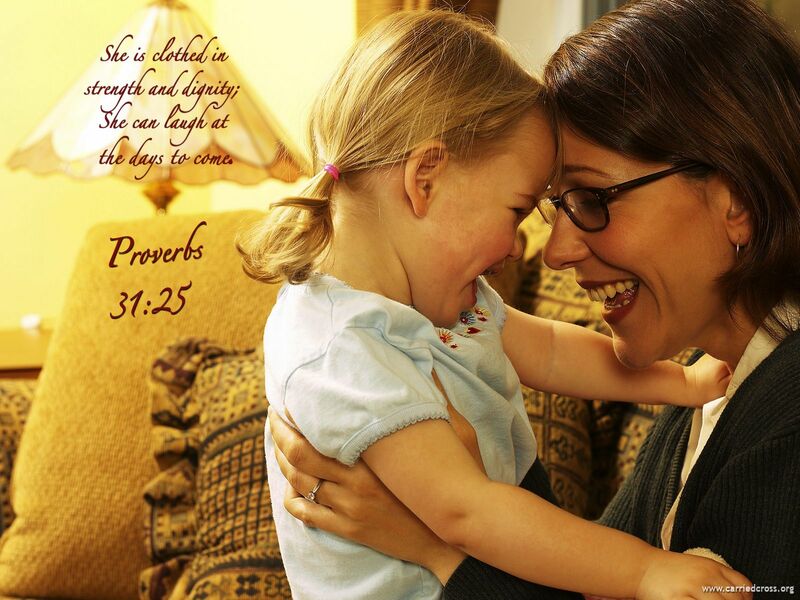 She is a virtuous woman whose price is far above precious gems: The Geneva Bible uses the word pearls. Other translations use the words jewels or rubies. So whether this is referring to the amount of dowry the law prescribes to show good faith on the part of a man in proposing marriage or just detailing that a good wife is extremely valuable—we’re told this is something for a man to pursue. 2. Her husband’s heart safely trusts in her. How can a godly man trust his wife if she does not know how to live her life lawfully, under God—not making up the rules as she goes along? Can he trust her not to spend more than their income allows? Can she be trusted not to enter into financial agreements that he has not approved? A husband needs to know that his wife “has his back” and that she will stand by him when he has tough decisions to make. The notes in the Geneva Bible add that such a virtuous woman is a check against her husband using unlawful means to make a living. 3. She does him good and not evil all the days of her life. The implication is that she can ascertain the difference between good and evil, and that her actions will be in harmony with the Scriptures. This very much ties in with a husband trusting his wife with their children as she establishes godly standards in their lives. 4. She is a hard worker and is entrepreneurial in her efforts. She is the multitasker that God designed a woman to be. It is no small feat to be able to grow a child inside of you, nurse another, and manage the rest of the children of the household. I know many a woman who manages to do just that. Why wouldn’t a man relish such a wife who holds down the fort allowing him to single-mindedly pursue his work of dominion? 5. She is not an emaciated flower consumed and distracted with the world’s standard of beauty. She is strong and healthy, both physically and mentally. The skinny supermodel type is the antithesis of a virtuous woman. As the virtuous woman works to maximize the prosperity of her family, she provides good wholesome food for herself and the rest of the crew to maintain her own health and that of those under her charge. 6. She is industrious and is pleased with the work of her hands. She knows the product she is striving for and evaluates herself by God’s standards. She can be confident that if she is putting the law into practice, the unrealistic and shallow standards of the world are not a threat to her nor do they condemn her. She is pleased with progressive sanctification and relies on the guidance of her husband and the Word of God to correct and instruct her. 7. Her care and concern for the poor and needy is tied in with her availability, not only to perceive the needs of others, but (along with her children) to be ready to address those needs. Her volunteerism and instilling that quality in her children makes her a beacon to those who need guidance and assistance. 8. She is providential regarding the physical, emotional, educational, and spiritual needs of those in her care and seeks answers to problems that arise. She is not intimidated by threats from statists or school boards or nosey neighbors for she is not surprised or taken off guard by the attacks of an ungodly culture. She is well-read when it comes to medical issues, learning problems, and matters of health, so that her children are given the time and attention to thrive. Her commitment to her children involves networking with other women to deal with situations not familiar to her. 9. She cares for her own needs as she cares for those under her care. She’s not a martyr or a bondservant in her work. Her clothing being “purple” signifies her regard for her God-ordained status and authority. She is the manager of the household, not the household slave. That is why she starts early on to teach her children their place in the family and instructs them in household responsibilities. 10. Because she is competent about decisions that need to be made and doesn’t burden him with trivial matters, her husband is known in the gates—in other words free to transform the culture around him. She knows his preferences and is used to discussing family matters with him, heeding his counsel, so she can act in ways that will please him and bring him honor among those in the public square. 11. If, with her skill or training, she can add to the family income, she does so. However she must never neglect her first area of concern—the ways of her household. Even if other family members or friends watch over her children in her absence, she must maintain their well-being as a first priority. 12. She is known for her strength, honor, wisdom, and grace in her actions and her speech. This means that other women seek her out and know that she will counsel them Biblically, not engaging in pity parties or slams against their husbands. Her experience with children will allow her to help younger mothers who may be struggling. 13. She is the household manager, and, rather than shirking work, she pursues it with vigor, all the while being a teacher and example to her children so that in her absence they can manage and care for the demands of running the home. 14. In the end, her biggest fans and supporters are her husband and children because she creates an atmosphere where they can all thrive. Their successes are her successes and she need not seek acclaim outside her family. In the end, she has her priorities in order and receives honor and appreciation from her family, extended family, and brothers and sisters in the Lord. Because she fears God and keeps His commandments as her whole duty, she leaves a legacy to future generations, helping to create the context for dominion. She truly is the glue that holds the family together, bridging the gap in conflicts and always stressing the need for repentance, reconciliation, and restoration. ← Are You Qualified to Teach Your Children?